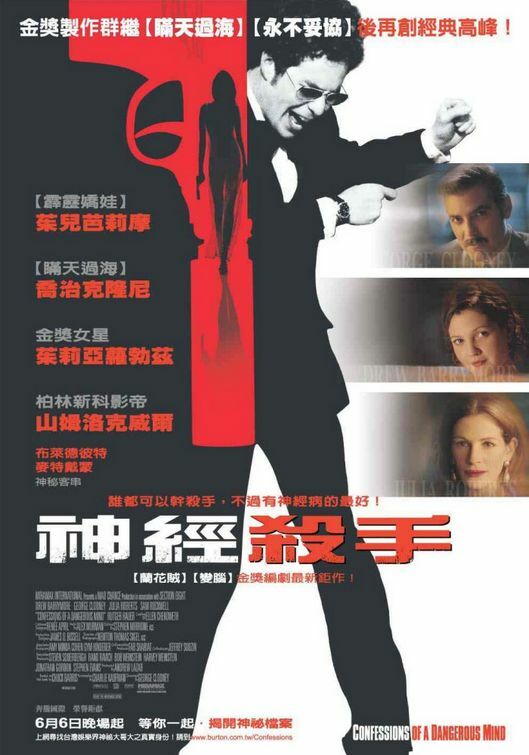 Clooney makes a very nice debut as a director with this movie, 18 May 2005 Author: Philip Van der Veken from Tessenderlo, Belgium Since "ER" George Clooney has been a very popular actor, mainly because so many women find him very attractive. But through the years he has been able to prove that he's more than just a pretty face in the crowd. He has acted in many popular movies and did it pretty well in most of them. But being a good actor doesn't mean that you are automatically a good director as well of course. 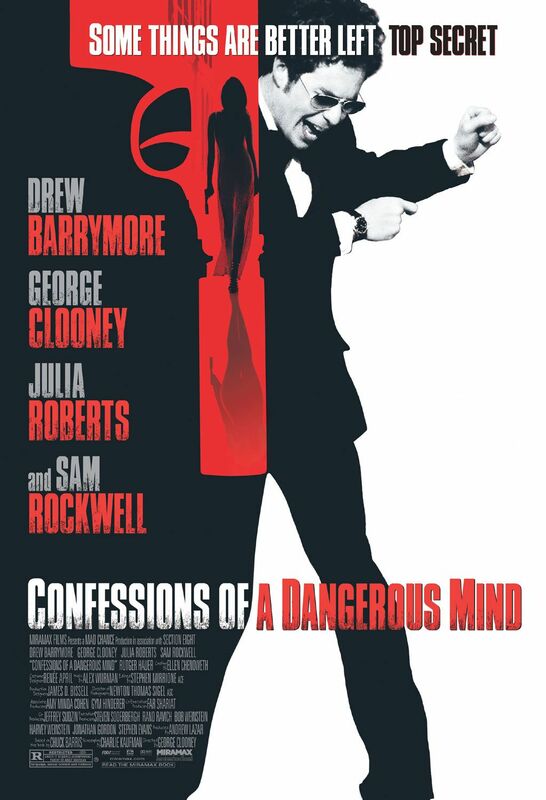 So before seeing "Confessions of a Dangerous Mind", his debut as a director, I had my doubts...This time we don't get to see Clooney very often in the movie itself. We only get to see him a couple of times as the CIA agent who has hired the game show impresario and producer Chuck Barris (Sam Rockwell). During the day Chuck invents game shows like 'The Dating Game', 'The Newlywed Game' and 'The Gong Show'... Shows that are all very successful, because they are easy to understand and fun to watch. But next to his regular day job he is also a CIA assassin. At least, that's what HE claims to be...I must say that Clooney has done a very nice job in his debut as a director. He has added a nice surreal tone to this movie which makes it even harder to understand whether all this really happened or not. And even though this is a bio-pic, it is never hard to keep watching it or to stay focused. Thanks to the light and satirical feeling in it, this movie stays fun to watch from the beginning until the end. Of course without the interesting story and the good acting by all of his main actors Clooney wouldn't have been able to make this movie. Withouth them this movie wouldn't be the same and might even have been awful to watch. Especially Drew Barrymore was a lot better than I had expected. She never really convinced me in her other movies that I saw, but this time she's really good as Barris Sweetheart. And Clooney himself was interesting to watch as well. Even though he could be found more behind than in front of the camera, he still proves to be a talented actor.Overall this is an interesting and fun movie. Certainly because it is Clooney's debut as a director. The man sure has a lot of talents and I'm already looking forward to his next movie as a director / actor. I give this one a 7.5/10.